D'Angelo Russell rang up a scoring burst that helped Brooklyn dial up an upset and filled Philly's home court with a barrage of boos. 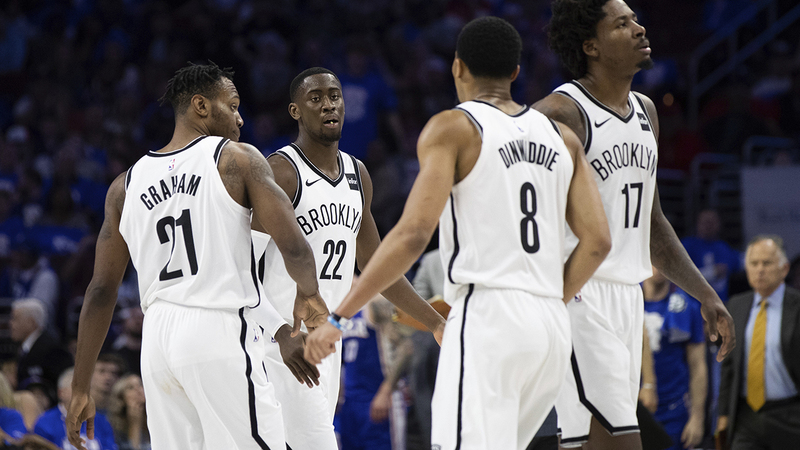 LeVert's third 3 in the fourth made it a 16-point game and there was no looking back — at least not for Russell as he raised his arms in celebration as he headed down the tunnel into Brooklyn's locker room. Embiid has always fancied himself a 3-point shooter, and with tendinitis in his left knee that cost him most of the final month of the season rendering him immobile, he decided to camp out a bit more beyond the arc. LeVert hit two straight 3s for a 14-point lead and the Sixers — who had been the darlings of the city during the Process — were soundly booed off the court by 20,000 fans ticked off at a supposed East contender.